At Parisi, we are firm believers in continuing education and staying on top of the latest developments in the fitness industry. This is why we are dedicated to providing great educational opportunities for coaches and trainers interested in learning more about speed and sports performance training. Are you up to date on the latest research for building injury resiliency in athletes? If not, you could be promoting injury, not reducing it. 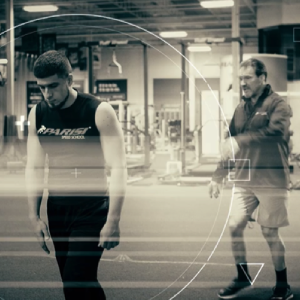 The Injury Resiliency course is designed from the presentations at the exclusive 2018 NFL Strength & Conditioning Coaches Injury Resiliency Summit. While the summit was invite only, you can now access the same information shared with the top NFL Strength & Conditioning coaches. The first in our Online Education Series, the 5-Star Combine Training Course provides the tools and tips necessary compete out on the combine course. 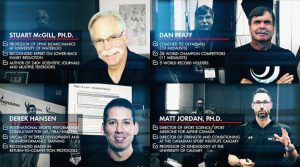 Using our 25 years of experience and training that has produced over 130 NFL Draft Picks, we have put together an educational library of 30+ training videos, expert interviews, recommended articles and more! Properly programmed strength training is a crucial element in developing blazing speed for today’s athlete. 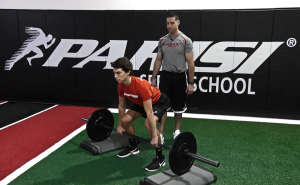 A term we like to use at Parisi is training athletes to be “strong enough” – building enough strength relative to body weight. The Strength for Speed Membership features an extensive library of 30+ strength training videos covering the basics of body mechanics, breathing technique and proper execution of the most important strength training exercises for developing speed, including the deadlift, squat, lunge technique and upper body training essentials.